Description: New Acer laptop lcd back cover. This part is black in color with grey hinge cover caps. This may be the replacement part you need if your back cover is cracked or damaged. 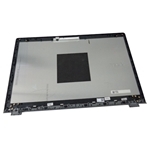 Compatible Part #'s: 60.G5EN7.001, EAZRR001010. 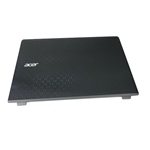 Acer Aspire V3-575, V3-575G, V3-575T, V3-575TG, V5-591, V5-591G.